We hope all of your children are enjoying themselves, making new friends, and learning more about the game of baseball. It is our goal to make this a very rewarding and positive experience for all of your children. Opening Day is almost upon us! ALL OF THIS INFORMATION BELOW IS VERY IMPORTANT, so please read the entire message.. Opening Day is Sunday, April 28th at WHLL Fields (corner of Trout Brook and Asylum). Parents and players should start arriving by 10:00 AM sharp to get players organized and with their teams. The parade will start promptly at 10:30 AM. Players will enter onto UConn Majors Field #1. We will be starting at 10:30 AM even if all team members are not present. 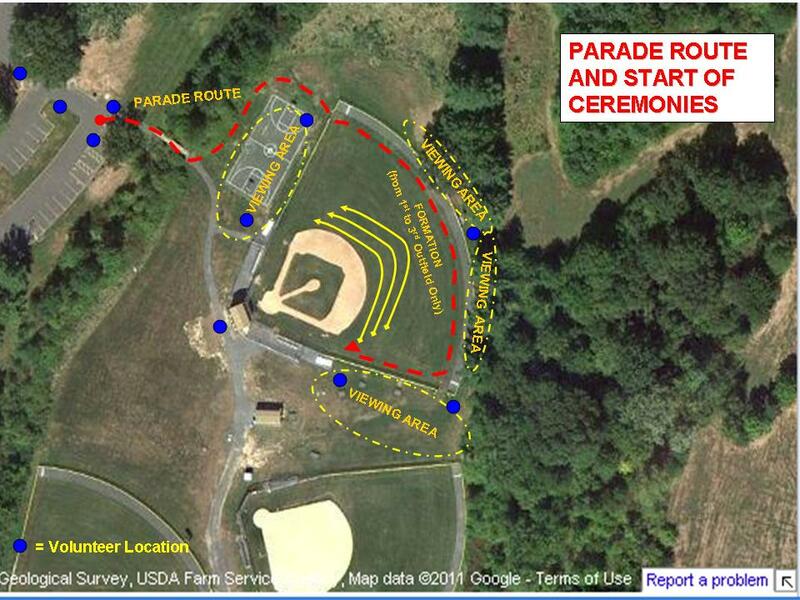 The parade will run from 10:30 AM to 11:00 AM. The Opening Day Ceremony will run from about 11:00 AM to 11:45 AM/NOON. There are games at WHLL Fields that will start at 12:30 PM. All games at other fields will start at 1:00 PM. There is NO PARKING ON ASYLUM AVE or the side streets perpendicular to Asylum. If you park there, you will be towed. 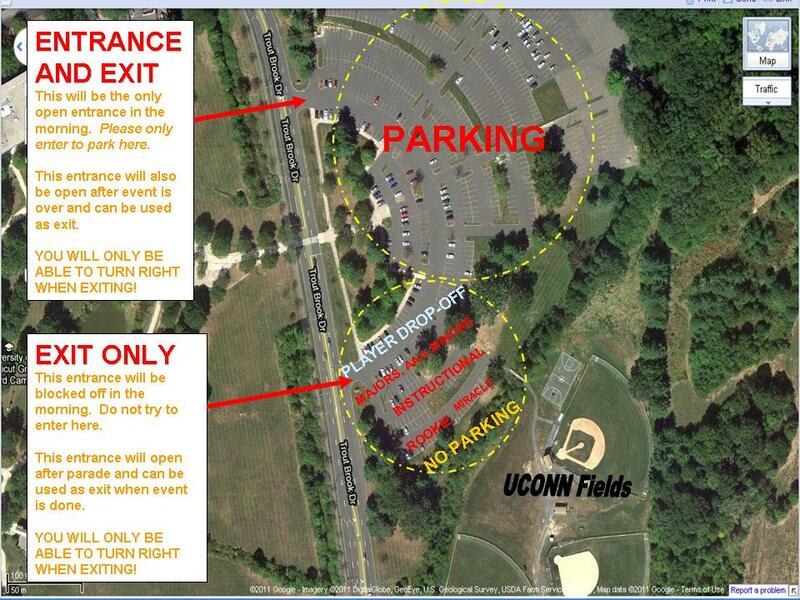 Please park in the UCONN Parking Lot on the north side of the fields. This is a very big lot that can accommodate all our families. I have attached a set of maps that provide specific instructions on where and how to enter and exit the lot. Similar to parking only in our lot, players can only be dropped off in the parking lot. Asylum Avenue is very busy and we will not allow player drop-off there at any time during the season. You may not drop your player off on Trout Brook. You must pull into the parking lot to drop your player off. Once you’ve parked, please “drop off” your player in the designated drop off area (see maps). Parents should begin to arrive at 10:00 AM to drop off their players. There will be areas marked specifically with division signs (e.g. Majors, AAA, Rookie, etc.). Once at your division area, please locate your child’s coach. Your coaches will keep your team together until the parade starts. Volunteers will be in the area to make sure you get to the right location and that you find your coach quickly. Parents will then exit the drop off area and head to the field. Please dress your child in their FULL WHLL UNIFORM. This includes the hat, jersey and socks that you have received from your coaches as well as grey baseball pants. Please have your child wear sneakers (not cleats) during the parade and ceremony. Your child does not need any equipment for the opening day ceremony. Please leave all gloves, bats, cleats, etc. in your car or at home if you have a later game. If you are the parent of a 4-5 year old it is SUGGESTED that you stay with your child in the drop off area until the parade starts.. Thanks! There are still several large viewing areas around the field to watch the parade. Both the left field and right field fences are available as well as the entire outfield fence. After drop-off, please head to one of the designated viewing areas (see map) and claim your spot. The parade will go about 30 minutes. The parade route is marked clearly on the map. It will run behind the left field line viewing area, into left field hugging the outfield fence, down the right field line and into formation between 1st and 3rd base in the outfield. Once the parade is completed the ceremony will begin. Players will view the ceremony with their team while sitting on the field. The ceremony will run approximately 45 minutes. It will include the singing of our national anthem, the throwing of the first pitch, plus other noteworthy opening day events. 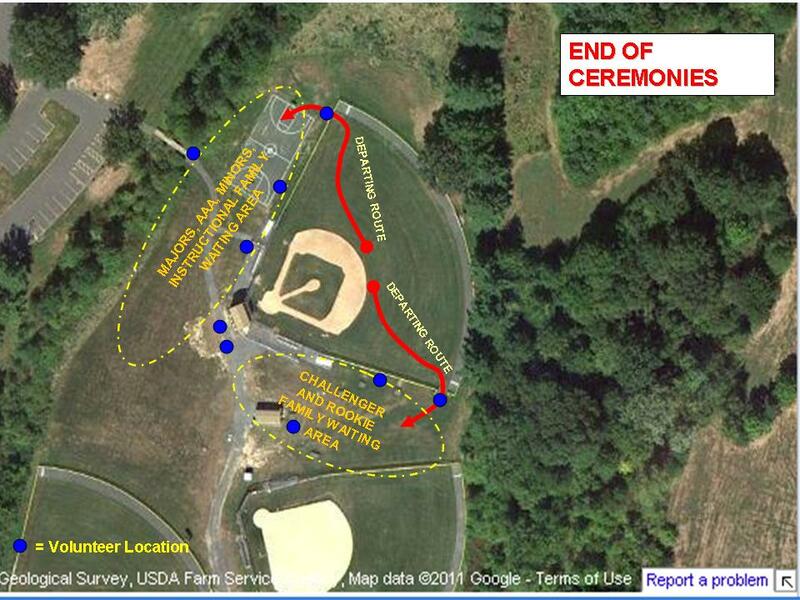 As shown in the map, once the ceremony is completed, players will be exiting from the leftfield outfield gates. Your coaches have been instructed to stay with their team until all children have been picked up. All Major, AAA, Minor and Instructional players will exit out of the left field gate. The entrance that was closed when you arrived will now be open to exit. Everyone will be leaving at once and Trout Brook is a busy road. With that said, we ask that you please exit the parking lot and turn right (do not cross traffic and turn left) on Trout Brook in order to keep traffic moving smoothly and to reduce backups. In the unlikely event that a parent and coach/player do not reunite at the end of the ceremony, we have designated the concession stand as the official meet up area. Please tell your children this! Volunteers will be located throughout the area including drop off, on the field, in the viewing areas, etc. (see map for possible locations). Please keep a lookout for them if you have questions or need assistance. I think that’s it. If you should have any questions, suggestions, etc, please feel free to reach out to your coach or the league at whllct@gmail.com. It’s going to be a fantastic morning. Hope for good weather!!! See you all on April 28th!! The May meeting is Thursday, May 9th at 8:00p.m. 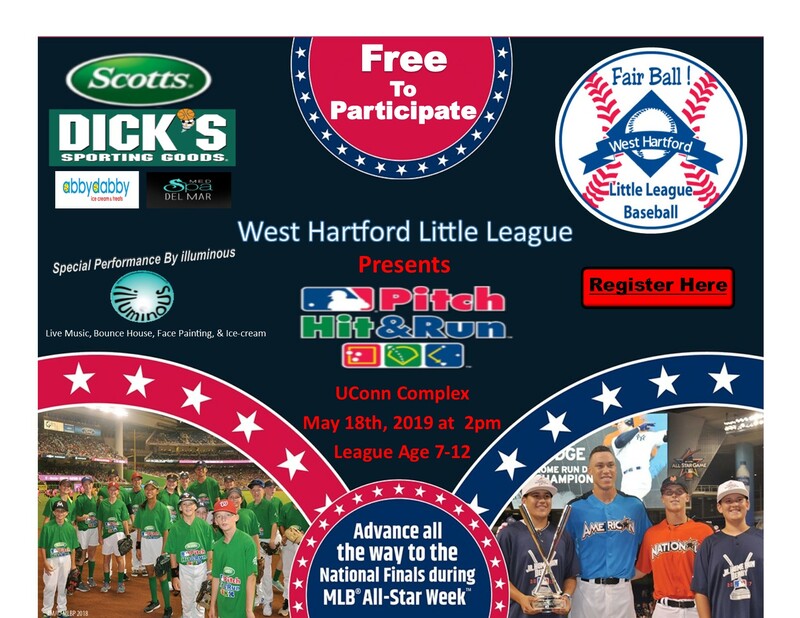 WHLL meetings are open to league parents and volunteers. All are encouraged to attend. Conard High School shortstop and former WHLLer Jeff LaRosa, signed his National Letter of Intent to play baseball at Old Dominion University in Norfolk, VA at a ceremony at the high school on November 20th. ODU is a Division 1 program that plays in Conference USA against the likes of Southern Miss, Rice and Florida Atlantic. LaRosa also had scholarship offers from Iowa, Ohio University, Liberty and West Virginia. In addition to playing at Conard, Jeff plays his summer baseball with the CT Bluejays. 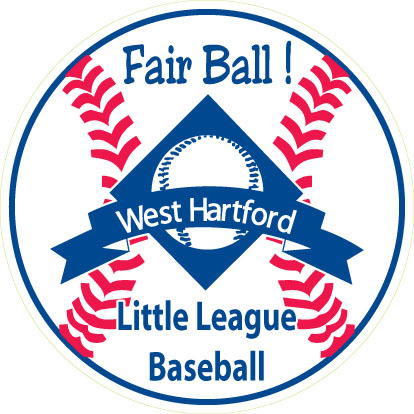 West Hartford Little League is proud of Jeff and wishes him all the best as he continues his baseball career. 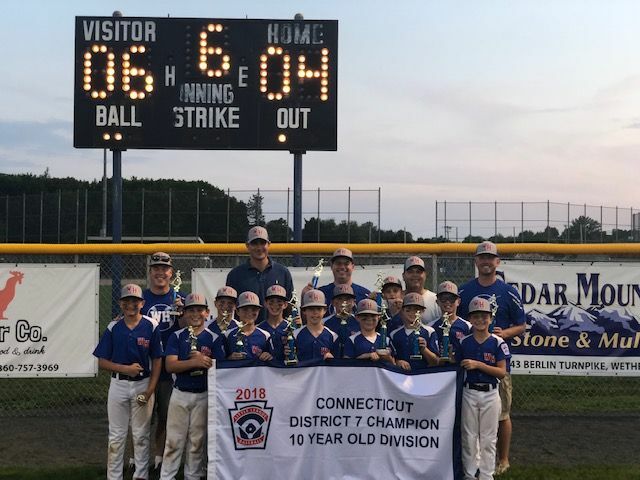 Congrats to the 10U District Team! District 7 Champs!! 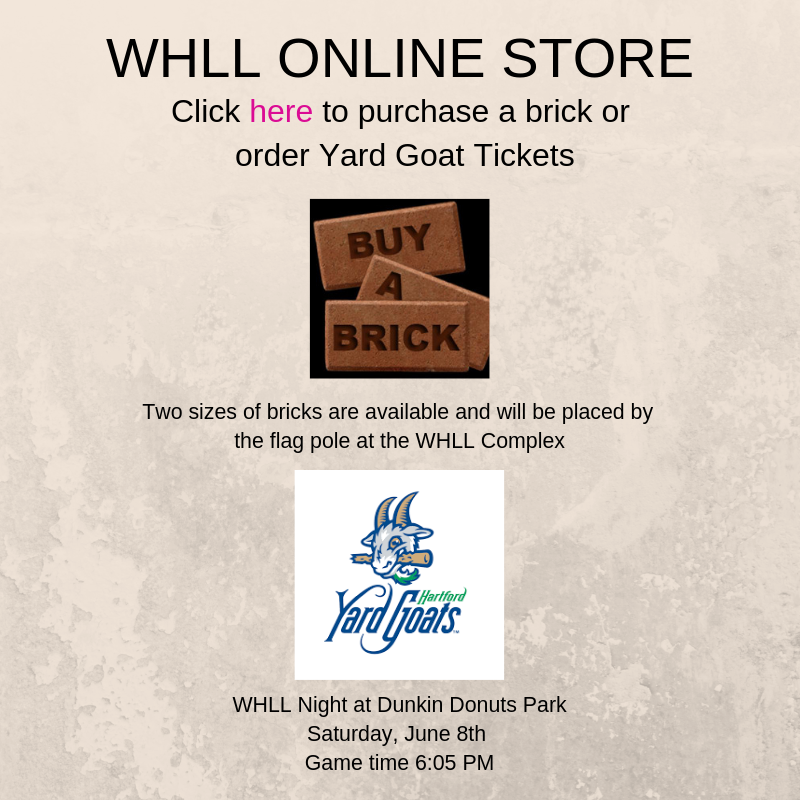 Make sure to check our website often for the latest WHLL news, information, schedules, and scores for our spring, summer and fall teams. Thank you to eveyone that came out yesterday to help with setting up the fields. Thank you to: Scott Sharlow, Jeff Schaible, Mary Himmelstein, Alan Tuvin, Evan Gilchrest, Scott Ivens, Dan Weiss, Brian Heaney, Dan LaBreck, Chris Nelson, Brian Boyer, Matthew Boyer, John LaSpada, Joey LaSpada, Tommy LaSpada, Andy Riddle, Mike Culligan, Lee Gold, Mike Lage and Mike Stockman. Click here to access the 2019 Little League Age Chart.